Breast-feeding is a commitment for mother and child, and often necessitates doing it in public. 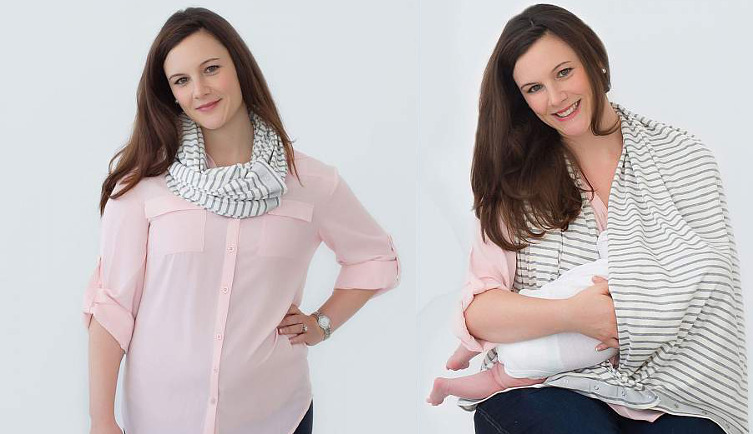 The Nuroo Nursing Scarf allows nursing moms the privacy and discretion needed to feed their baby and keep themselves covered without fumbling with a cloth. The nursing scarf snaps at both ends to keep it in place. Available in an ivory and gray stripe pattern or bold purple, the nursing scarf can be worn as a regular scarf with no one the wiser, making access to it when needed simple.